This space could be taken up with long and complex words resulting in me trying to big myself up. I think a much better option is to simply check out the music via the Soundcloud player below. I have to assure that all tracks have been made with the best intentions, to make people happy, give them lots of memories (hopefully happy ones) and also make people dance as much as possible. Check out the Worlds leading DJs who consistently support music by Aspiration and Aspiring Records on the Soundcloud player. Aspiring Records is a label strictly dedicated to quality music, gaining support from the Worlds best DJs. 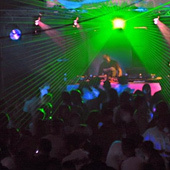 The label caters for various different styles of trance music. The music speaks for itself so please check out the latest releases. If you think your tracks suit the genre and quality of this label then do not hesitate to get in touch via the contact page.